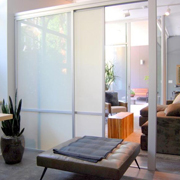 The URBAN DOOR COLLECTION is a distinct set of innovative and contemporary sliding door panels with proprietary hardware systems used in a wardrobe application, surface mounted door, corner room dividers or wall partitions. 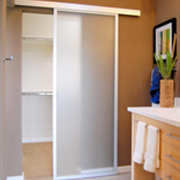 These door systems are limited to interior applications only. Excellent work ethic, service and product! Best closet doors in the West Coast! Great service, professional installation and reasonable prices. "As someone who is a designer and very detailed, this was by far the perfect solution for closet doors. 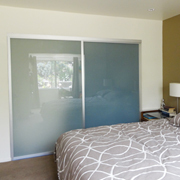 I would highly recommend Lexari for any closet door project that you may have."